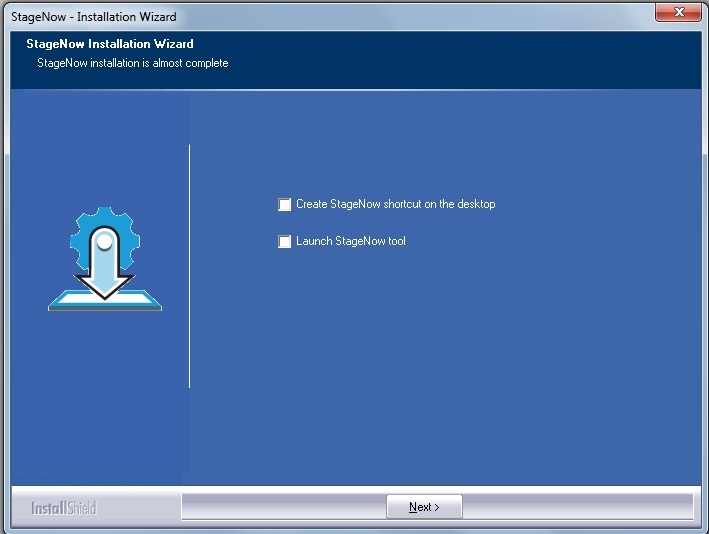 Installing the StageNow Workstation Tool also auto-installs Microsoft .NET Framework 4.5, the Staging Database and the Staging Server. Accept the terms of the license agreement and select Next. Note: All StageNow profiles and data are associated with this password. StageNow Workstation Tools is now ready to use. 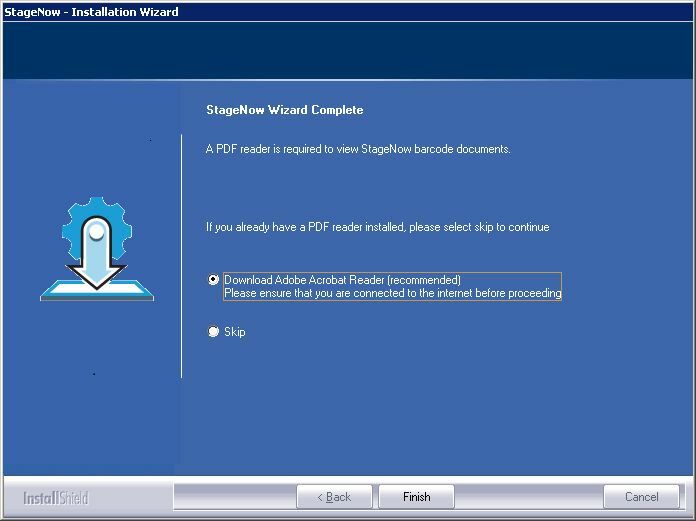 If an older version of the StageNow Workstation Tool exists on the host PC, it can be upgraded. Important: Complete any partially completed profiles that exist on the host PC before upgrading. Failure to so do could result in unpredictable or unwanted behavior. Select the desired option to continue the upgrade. 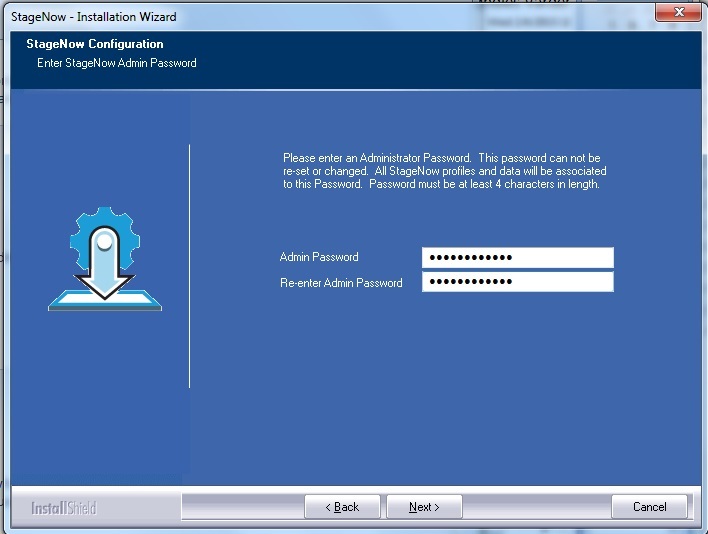 Note: If you choose to retain existing data, the install process does not request an administrator password as it retains the existing password. The StageNow on-device client software supports all Zebra devices running Android KitKat and higher. 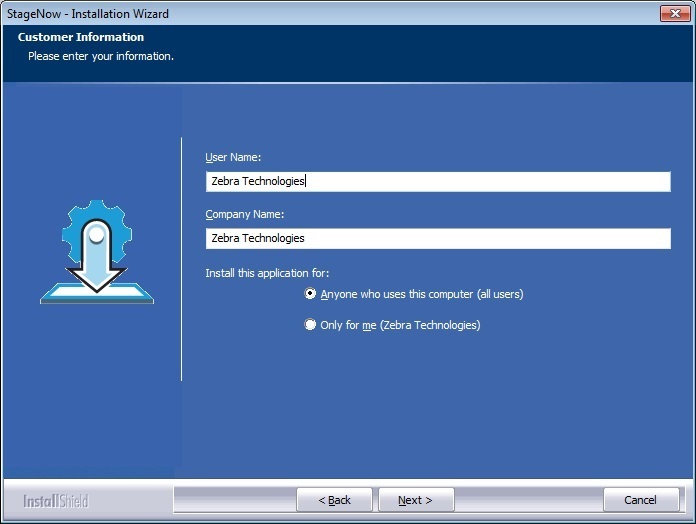 These devices generally ship with the StageNow Client pre-installed and support all StageNow device configuration options. Some older KitKat devices do not include the StageNow Client, but instead come with the Rapid Deployment (RD) Client. For staging, these devices can scan a StageNow-generated "RD barcode," which causes the RD Client to connect to a network and auto-install the StageNow client plus MX 5.0 for KitKat devices. The StageNow Client can then be used to scan StageNow profile barcodes for configuration. Due to limitations of the OS, such devices might still offer limited StageNow functionality.